For quite some time now, tea drinkers have been able to purchase electric kettles and boil their water using electricity, saving on their gas bills. Electric tea kettles have added extra convenience to the tea drinker’s life, adding space on the range top (or stove). The advantage to an electric kettle is that it helps boil water in a faster amount of time than done on a stove. They also usually come with the feature of automatically shutting off when it reaches the proper temperature. 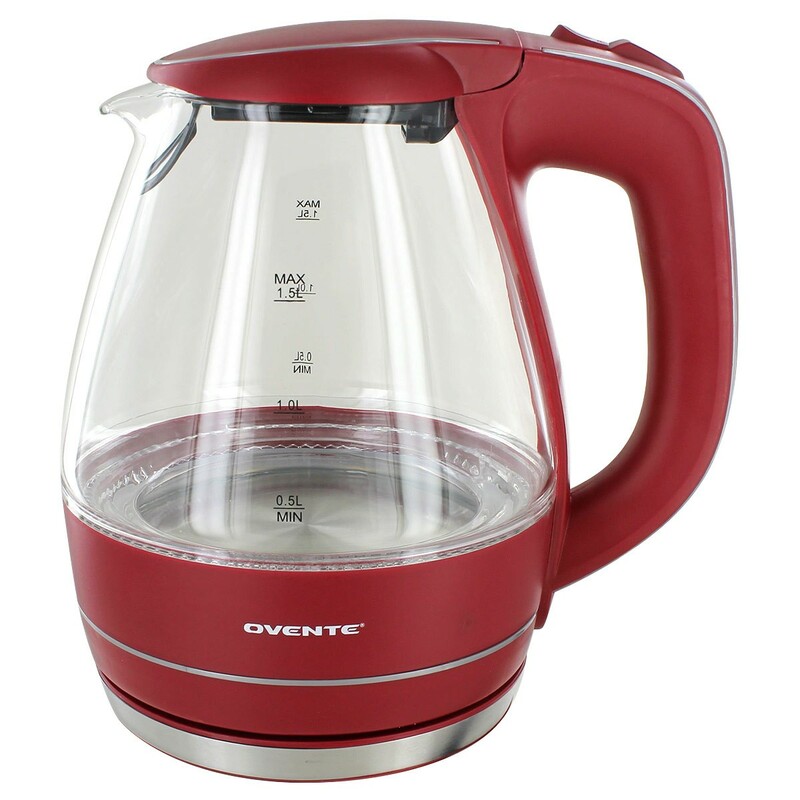 When looking for an electric kettle, there is a great variety, so choose according to your needs. Electric kettles come with many features. Some allow you to control the temperature. Rather than guesstimating or sticking a thermometer in the water with a traditional kettle, you can change the setting to a certain temperature. This is especially beneficial when boiling water for a certain kind of tea (i.e., green tea, white tea, or darjeeling), since in order to bring out the best flavor is to steep them at specific temperatures. Some kettles are also marked with milliliters (ml) so measuring water is easy! Making a cuppa for one or six? No problem! 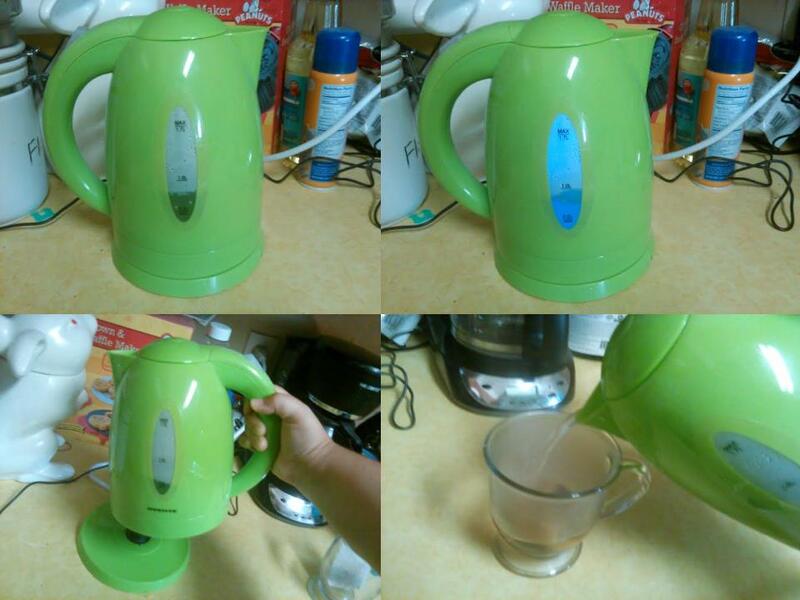 Simply measure and pour the water in and switch on the kettle! Safety First: Be sure the electric kettle is unplugged when not in use! There are several types of electric kettles, ones with and without cords. The ones with cords simply have a cord running from the back and plug into an outlet into the wall, while the cordless ones have a base, allowing the user to pick it up and go wherever the user chooses to. In my research, I was unable to find out the origins of the electric kettle and there are a vast amount of manufacturers who make electric kettles. And did you know that electric kettles are not just for tea and coffee? Any food that involves hot water like oatmeal, instant soup, or hot chocolate can be made using an electric kettle. One of the few downfalls to having an electric kettle is that would not work if the electricity shuts off or goes out. If you must have tea, then keep a stovetop kettle as a backup, unless you have my current stove. It’s electric AND gas! It needs electricity to bake in addition to starting up the stove but runs on gas. But definitely keep a regular kettle in case of emergency! As for picking out a good electric kettle, it’s hard to choose. 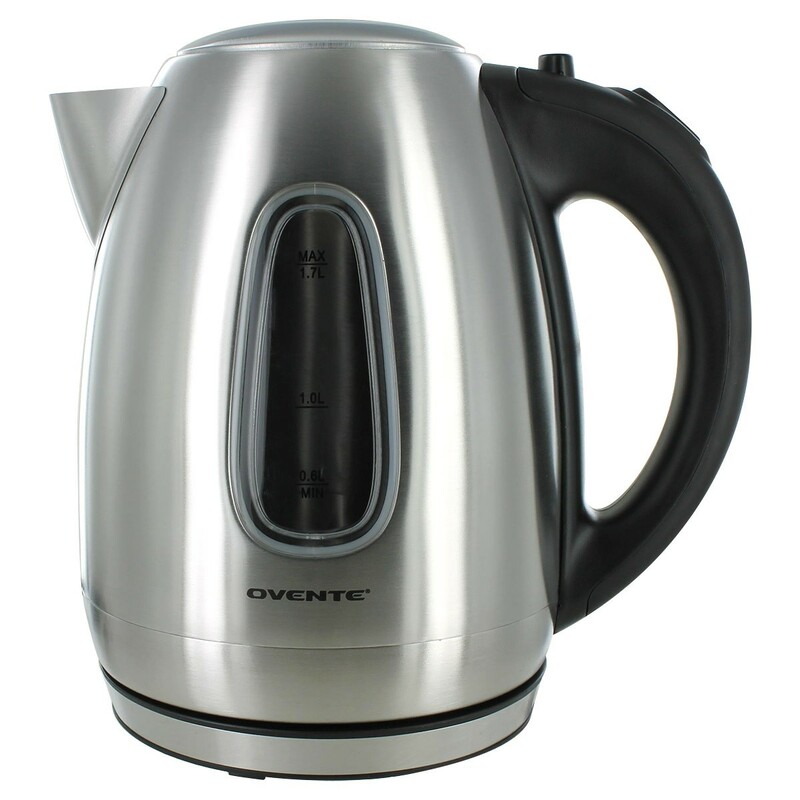 If you’re like me and just want the basics, then the Ovente kettle is a good choice. You can choose from three colors (green, white , or brown, and they all brew very nicely. The green one has a pretty blue glow when it’s on and even automatically shuts off when the water is hot enough! Best of all, with colors like these, they blend in perfectly with your kitchen! Do you fancy a bit more of a chrome look? There are ones like the Ovente Stainless Steel! This kettle has a more sleek design than their standard plastic kettle. Or perhaps you enjoy watching the water boil? Some electric kettles are made with the combination of glass, so you can watch the water gently boil! Sometimes extra money in the budget could allow for a more high tech but well worth the money, kettle, such as the Chef’s Choice 677 model. 1500 watts of heating power add to this kettle compared to the standard plastic Ovente’s 1100 watt. Finally, if you want to add some high tech to tea preparation, you can always go for the Chef’s Choice Electric 688 Smart Kettle. Now what makes it a smart kettle? It has a feature that will allow it to remember the previous temperature setting that was selected in its last use! Plus many other wonderful features! Definitely worth the extra money on this one! When you look for an electric kettle, remember that there is one for everyone! Excellently you explained the difference between an electric kettle and the non-electric kettle, agreed with you. Thanks for the information. Great tip with the thermometer verification. Couldn’t agree more with you on the fact the electric kettles have added that extra convenience to our lives and made tea making a more fun filled activity.